This blog covers some of the latest new features and enhancements in SAP BusinessObjects Cloud and SAP Digital Boardroom release 2017.03. Note: SAP BusinessObjects Cloud agent must be upgraded to 1.0.45 in conjunction with the SAP BusinessObjects Cloud upgrade to 2017.03.0. We want to help you simplify and automate your workflow. So now in addition to being able to schedule “update model” jobs, you can also schedule “import data to model” jobs. You even schedule multiple data import jobs into the same model (for example, from different BW queries). 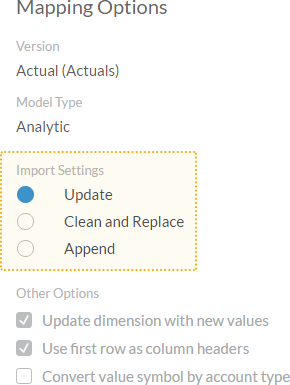 The import settings “Update”, “Clean and Replace”, and “Append” are all supported. 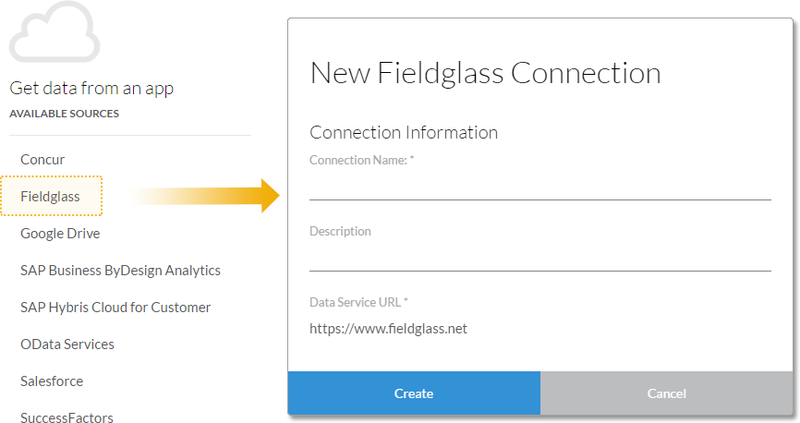 You can now create a connection to acquire data from SAP Fieldglass to create models in SAP BusinessObjects Cloud. You can use either SSO or your Fieldglass username and password to authenticate the connection. Once you have connected to Fieldglass, you will be able to see the reports for which you have viewing rights. SAP Fieldglass is a cloud-based Vendor Management System (VMS) that allows you to manage services procurement and external workforce programs. As always, we recommend that you check the System Requirements and Technical Prerequisites page in the SAP BusinessObjects Cloud Help Guide for the most up to date information on supported data sources. 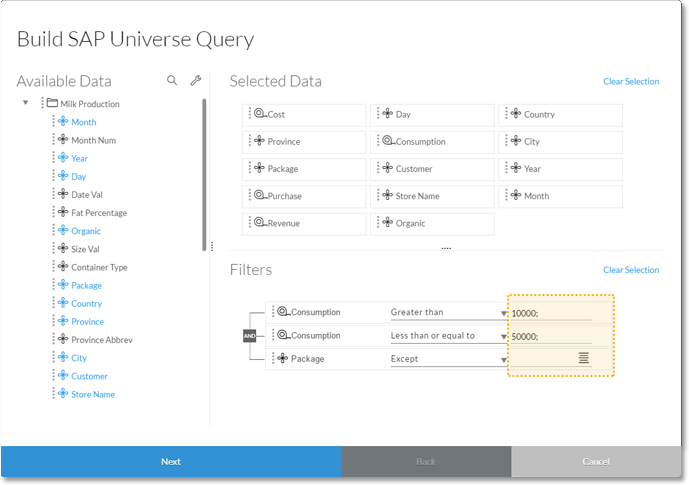 When you are building a query to acquire data from SAP BW, the filter dialog allows you select values from a dimension or measure using a List of Values (LOV). But what if you wanted to quickly type something in? In this release, you can manually enter values that are not in the List of Values in addition to using the existing LOV. Acquiring data from a file server or on premise data source can be a time consuming process if you have large volumes of data. 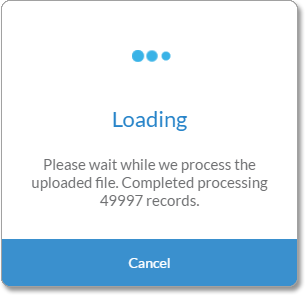 We’ve built in a new progress indicator to help you see how much data has already been uploaded during the acquisition process. When importing data from a cloud source, you can now cancel the data import if you decide you don’t want the upload to continue. You can now freeze rows or columns in a table so they are always visible while scrolling! Columns and rows are frozen independently. Within a canvas page you can apply freeze lines separately for each table widget, but on a grid your freeze lines apply to the entire grid regardless of the number of data regions you have. By default, freeze lines are visible but you have the option to hide them via the show/hide menu. The same show/hide options for the freeze lines also apply when you export a story to PDF. You can now change the variables for the model in a story in either view mode or presentation mode. Changing the model variables updates all of the charts and tables in the story unless they were overridden. 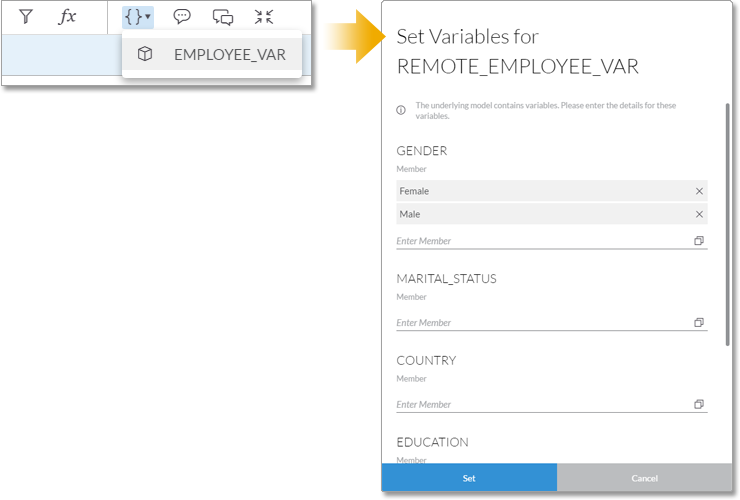 When you change the model or chart variables while in view or presentation mode, these settings are not saved to the original story. Note: This feature is not available in the Digital Boardroom and in the embed mode. 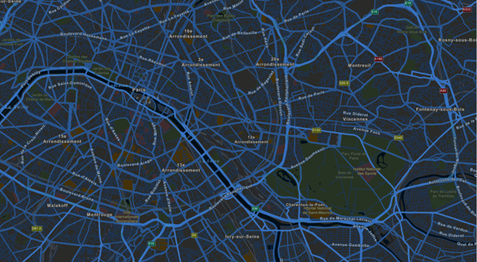 The Night Time Street map shows you a detailed world map with a dark “night time” styling. 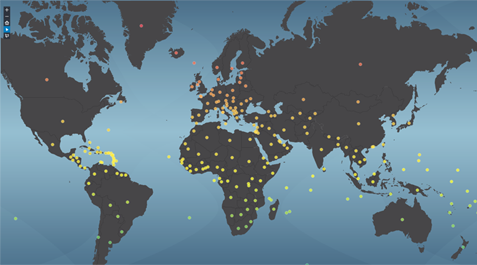 The Transparent Dark Gray Map hides the oceans and allows your background theme to show through the map – very handy especially if you are designing a geo map for the Digital Boardroom. It also hides labels for a cleaner look. You can now run forecasts on trend time-series charts based on remote models. 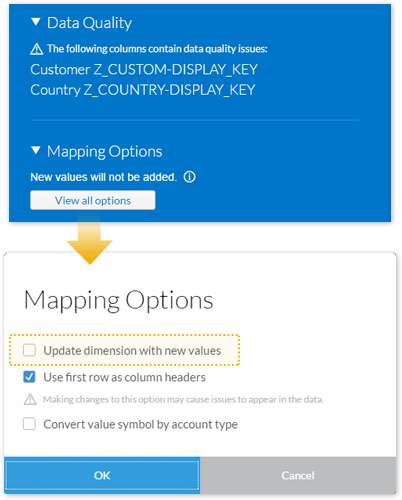 Value driver tree nodes now display correct formatting for cells from accounts with NONE and LABEL aggregation types. LABEL cells appear as blank in the node, and cells that cannot be aggregated display a diagonal line. 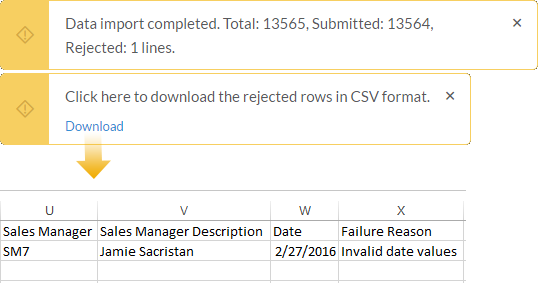 Copying a selection of multiple cells from Excel? You’ll like this new feature then. You can now paste cells containing an en dash (-) character to unbooked cells in a table. 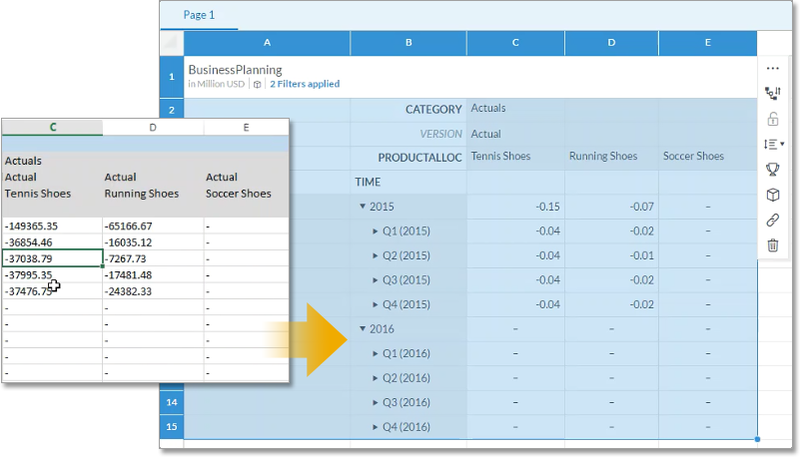 This feature also works for copying and pasting cells within SAP BusinessObjects Cloud. 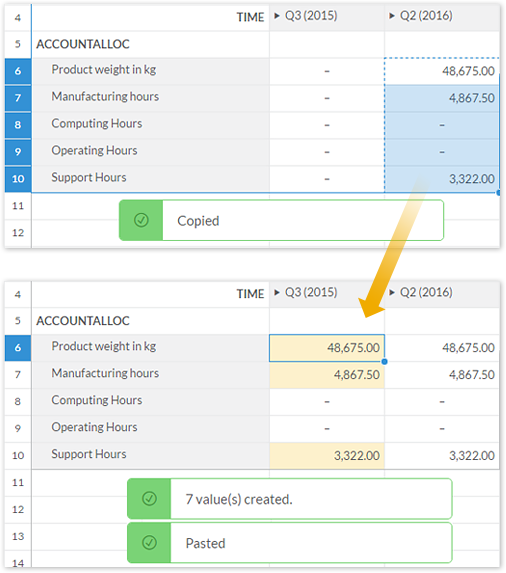 As you can see in the example below, “Computing Hours” and “Operating Hours” remain unbooked after pasting a block of values containing unbooked cells to Q3 (2015).